"Bush told the people to rise up against Saddam. 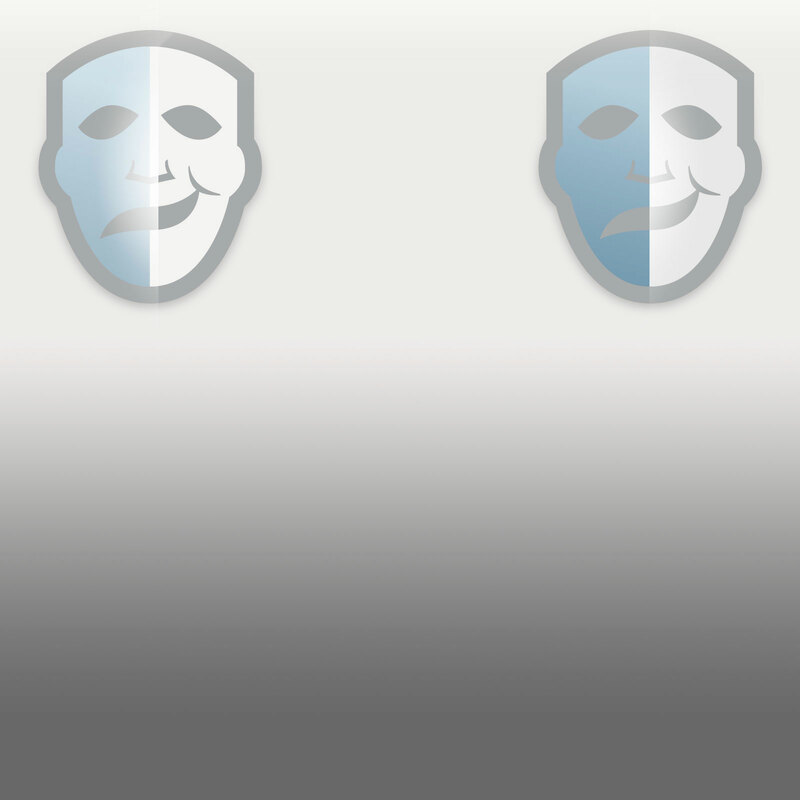 They thought they'd have our support. They don't. Now they're getting slaughtered." 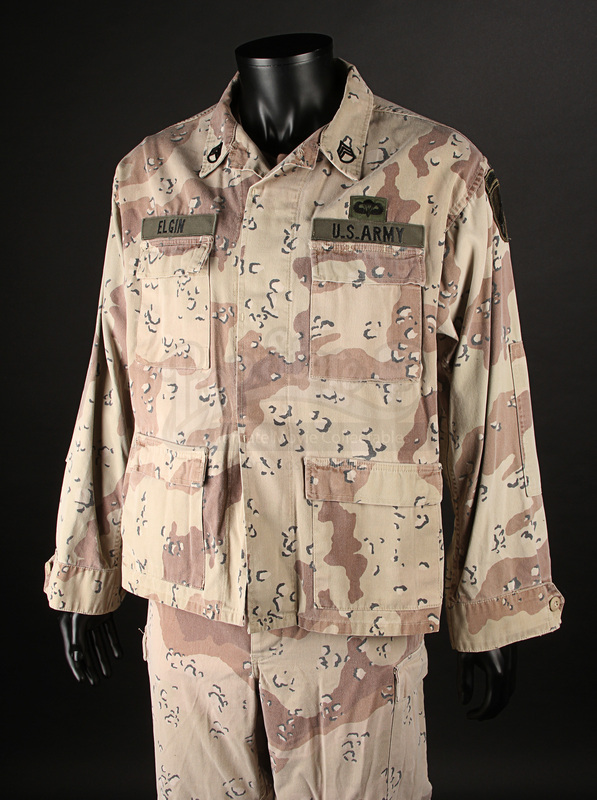 Staff Sergeant Chief Elgin's (Ice Cube) uniform worn in the production of the David O. Russell's 1999 action-adventure Three Kings. When a hidden map to Saddam Hussain’s stolen gold reserves is found, Special Forces officer Archie Gates (George Clooney) and his band of US Army reservists drive into the Iraqi desert for a daring heist. 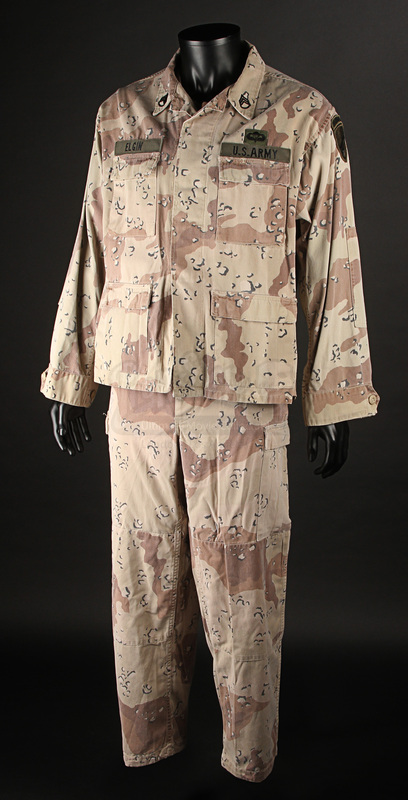 This uniform was worn by reservist Staff Sergeant Chief Elgin (Ice Cube), with this style of uniform worn throughout the film on their adventure. 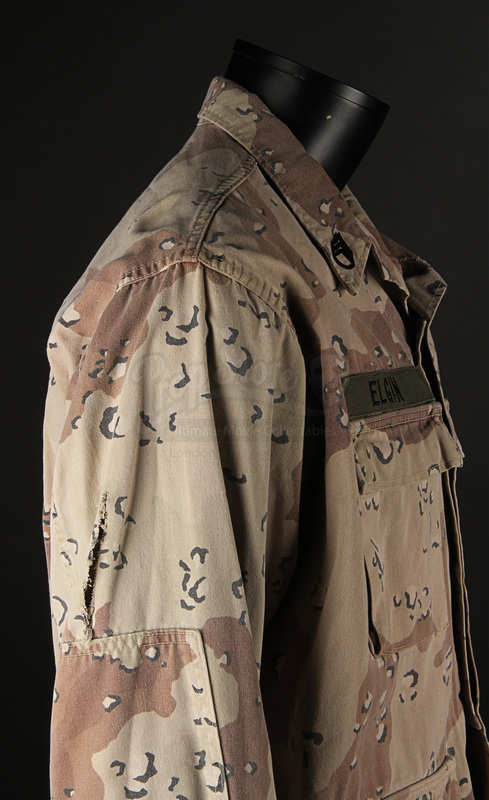 The uniform is composed of US six-colour “choc-chip” BDU trousers and shirt, under which is worn a standard issue brown t-shirt. 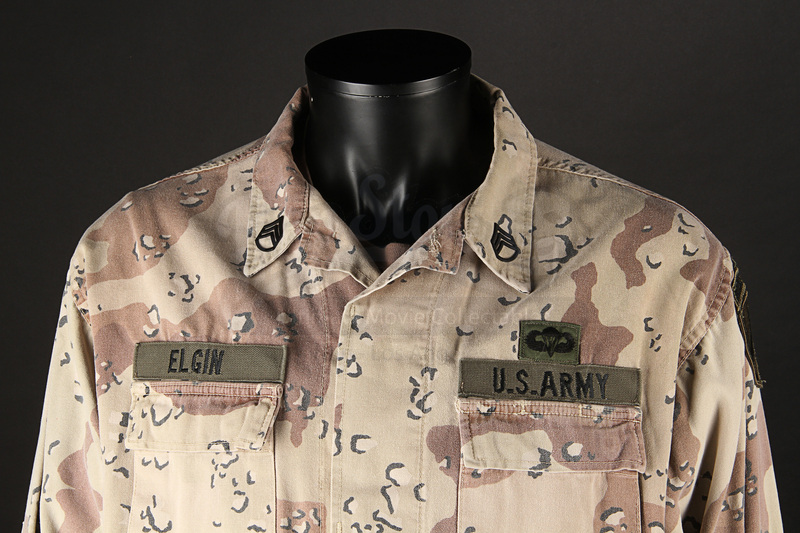 The shirt has an array of stitched Special Forces insignia on the arms and chest, with the tapes named to Elgin. 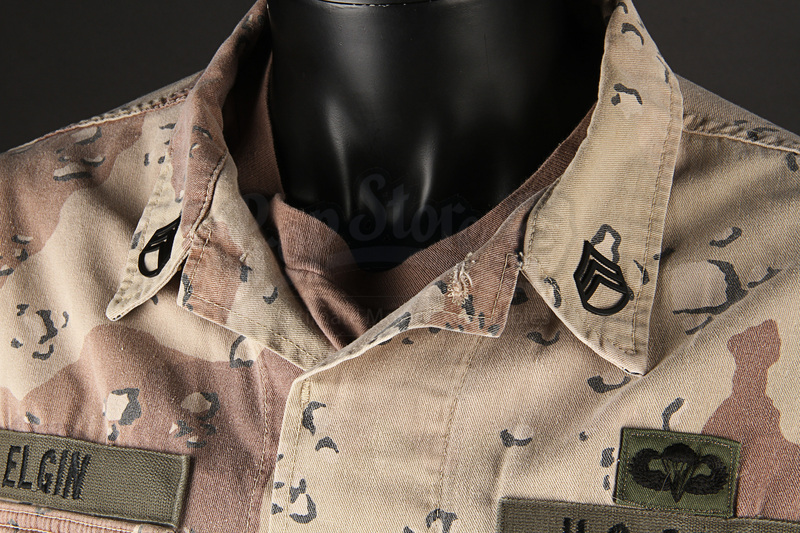 Metal Staff Sergeant pins are present on the collar. Holes on the lining of the shirt are apparent for the wearing of a stunt harness, which would have run through the shirt’s pockets. The t-shirt is marked as size 50-52, with the trousers and shirt marked as size large. A hand-written label within the trousers reads “Chief”. 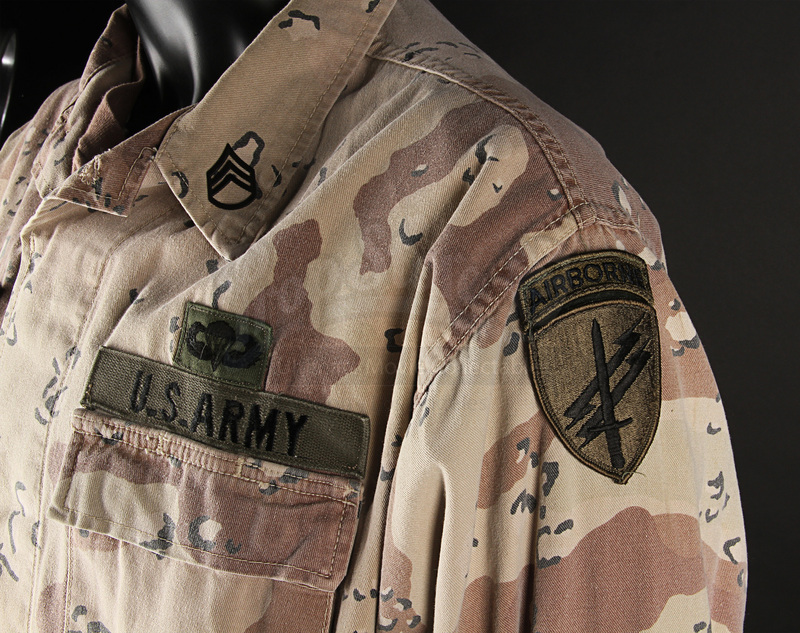 Distressed for use with some fading present, the uniform remains in very good production-used condition.